Main : Trapping Supplies : MONTHLY SPECIALS! 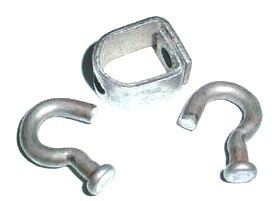 Heavy Duty 4 Way Swivels. Includes swivel body and (2) j-rivets. Available in dozens or 100 count!